What, exactly, does a best-selling author offer up after Big Little Lies? Yeah, that one. The one that spawned the can’t get enough, drop-your-jaw short series on the small screen? 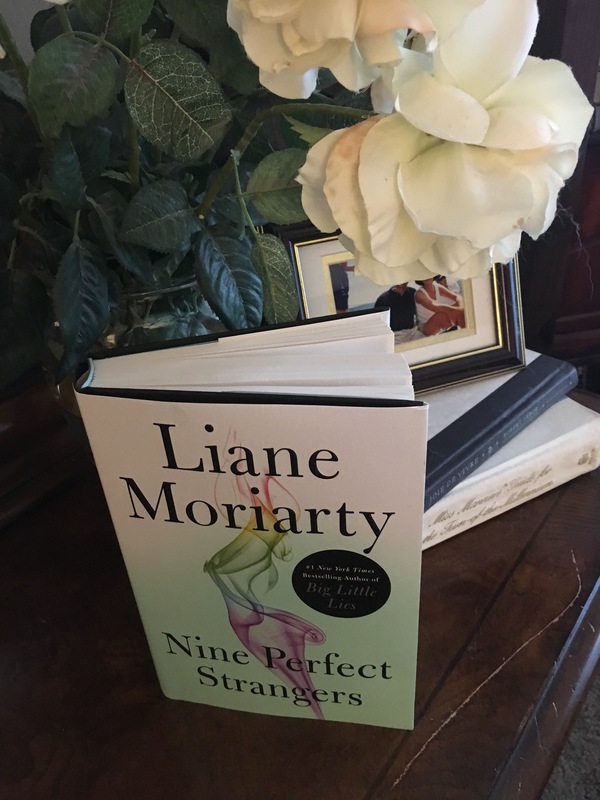 If you’re Liane Moriarty, you scoff, and pen Nine Perfect Strangers, the focus of our 2019 January Duchess Dolls Book Club. We’ve done the self-help thing. We’ve done non-fiction and deep dives. Let’s have some fun and make this the year of the novel, shall we? Stuff our minds with some good old-fashioned fodder for the female brain–fiction that makes us happy, sad, weepy, whimsical, inspired and pissed off. The list begins with Moriarty’s Nine Perfect Strangers, about, surprisingly, nine strangers thrown together at a remote wellness retreat in Australia. Does Tranquillum House hold the answers to their searches for health, consciousness and transcendence or is there something more sinister going on in the old Victorian abode? And where is the Lamborghini? Read–that’ll become important. It’s a twisty, turn-y thing. Nine main characters, one might suppose, make for difficulty following along, non? Not so much. Each character is brought to life in a way that we see someone we know, warts and all. A washed-up romance author, a divorce lawyer, a family that brings a secret, a young couple with more money than love, a beleaguered mom and a fat guy no one recognizes. At first. Throw in a villainess so dark, you imagine her fingernails in taloned glory. It’s a soup made of dark comedy, peppered with suspense. Moriarty’s deft hand at characterization is on full display, causing writers from all walks to turn various shades of green. It doesn’t help that by all accounts she’s supposedly really nice. And friends with Reese Witherspoon and Nicole Kidman. You want to hate her but you can’t. As with Big Little Lies, characters are multi-faceted onions peeling back secrets, lost loves, dilapidated dreams and neurosis. Delicious. You’ll have your faves. And end up surprised who grows on you and who’s just a plain old whack job. You can polish it off in a weekend. Did you say rain is on the way? Toward the end, there’s a reference to our favorite heroine Jane Eyre. That alone should be worth the price of admission, non? Got a can’t-put-down novel to share with Book Club? The dolls are varied in tastes and opinions but they’re always up for fun and a good story. Join us on the 10th of every month and we’ll discuss. It won’t take a month to get through this one.